Hey folks! I'll be hosting a new LÖVE Jam! Jam starts on February 15th 23PM GMT+0 and ends on February 18th 23PM GMT+0. If possibly provide a .love file with the rest of your builds, and clearly state which version of LÖVE was used. Notify about mature / sensitive content. If your game features such content you should have some warning in the description or when the game first loads up. The game must be made during the jam. Existing basecode and libraries can be used. Games made before the jam are not basecode, and go against the spirit of the jam. Assets must be made during the jam. Logo, intro and fonts are exceptions to this rule. If you do use existing assets you must state that in your game's description and credit the author! People voting should encourage assets made during the jam. You can work alone or as a team. Find one on CrowdForge! There is no restriction on the number of members, but the more people, the harder it is to get organized, so 2/4 works best. Check out these amazing libraries and tools to speed up your game development! 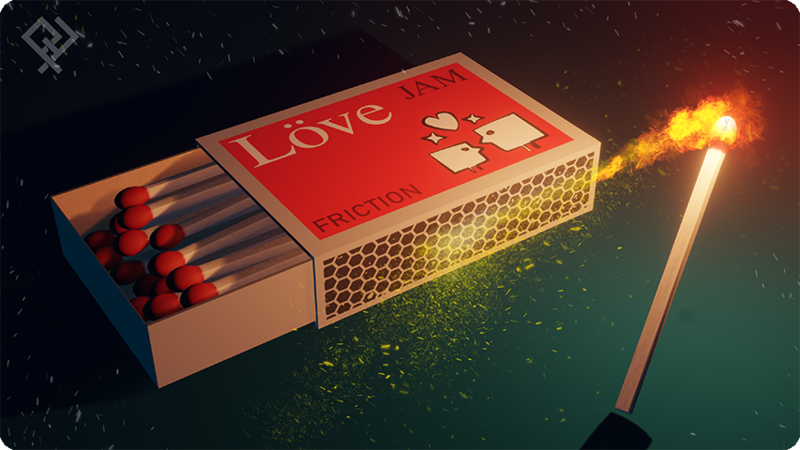 There is the wiki and some great tutorials out there that teach you how to use LÖVE! Join the fabulous Discord, irc and subreddit to chat with other Lovers! Get a cool intro by using the community made LÖVE splashes! We would love to see your game submission! Last edited by Positive07 on Fri Feb 15, 2019 1:38 am, edited 1 time in total. You are free to use whichever version of LÖVE you want, just specify it in your game description (and if possible provide downloads for each platform)! For last year jam, 11.0 was about to be released and there were people using 0.10.2 and some using the nightly for 11.0. The LÖVE Jam 2019 is over and was a great success with a total of 42 games!